So these two got hitched! I wish I could have stayed longer for the booze-fest that was the following day but I had to fly back to gloomy California (well not that gloomy). 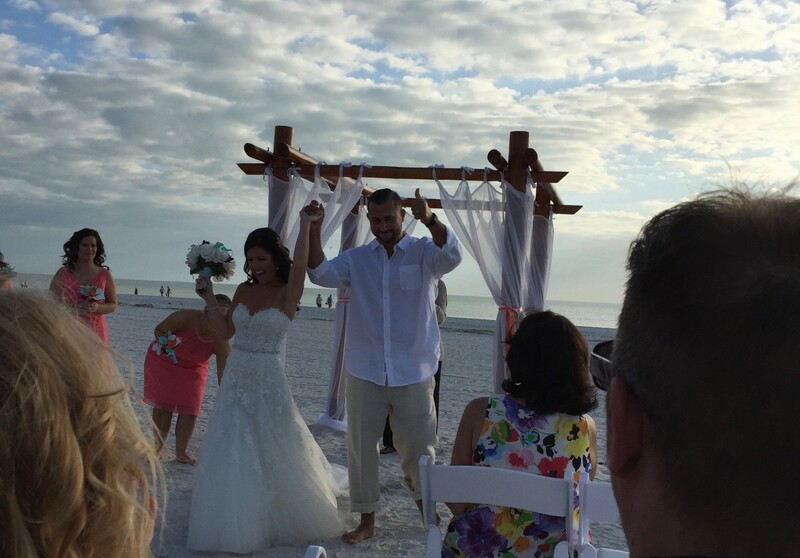 The ceremony was great and the weather was awesome. I got the first sunburn I’ve had in over a year and it was a weird one… just my belly. Funny. I was also able to see my old buddy Jay the night before which was awesome. Good to see you again buddy, it’s been far too long.